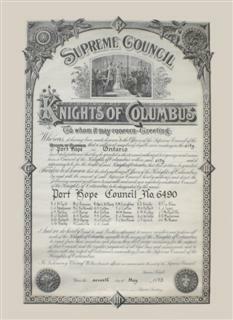 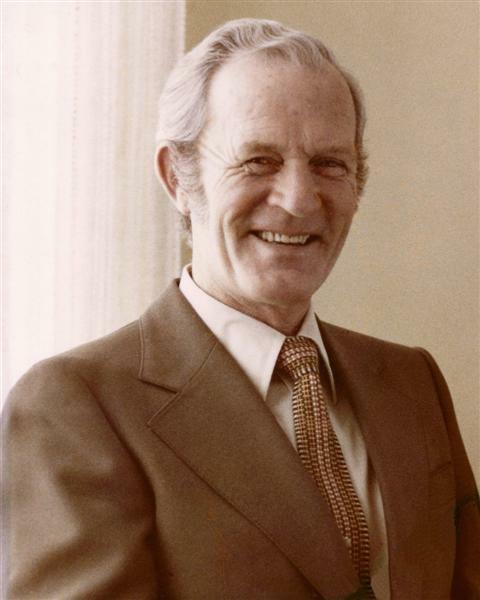 Whereas, it having been made known to the Officers of the Supreme Council of the Knights of Columbus that a sufficient number of eligible men residing in the city of Port Hope in Ontario have duly petitioned that they be granted a charter and authorized to organize and maintain a Council of the Knights of Columbus within said city and it appearing to be for the benefit of said Knights of Columbus that their petition be granted. 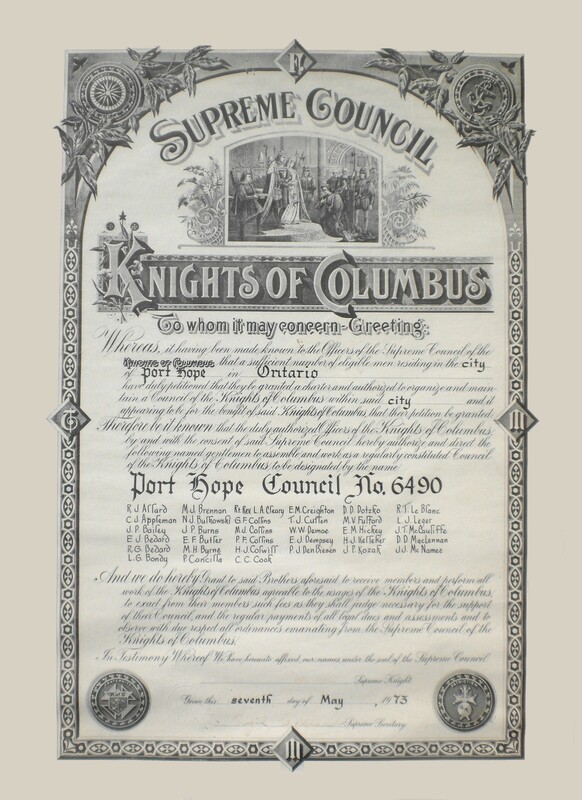 And we do hereby Grant to said Brothers aforesaid to receive members and perform all work of the Knights of Columbus agreeable to the usages of the Knights of Columbus to exact from their members such fees as they shall judge necessary for the support of their Council, and regular payments of all legal dues and assessments and to observe with due respect all ordinances emanating from the Supreme Council of the Knights of Columbus. 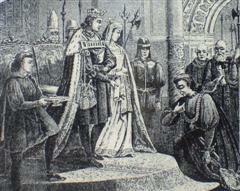 In Testimony Whereof We have hereunto affixed our names under the seal of the Supreme Council.